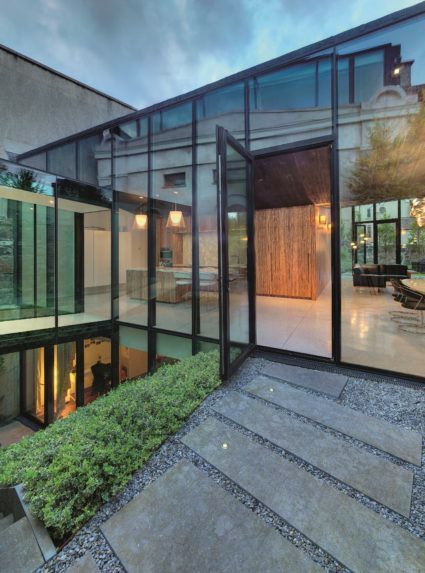 CURTAIN WALLS offers unlimited design freedom with maximum transparency to meet all the requirements for contemporary architecture. 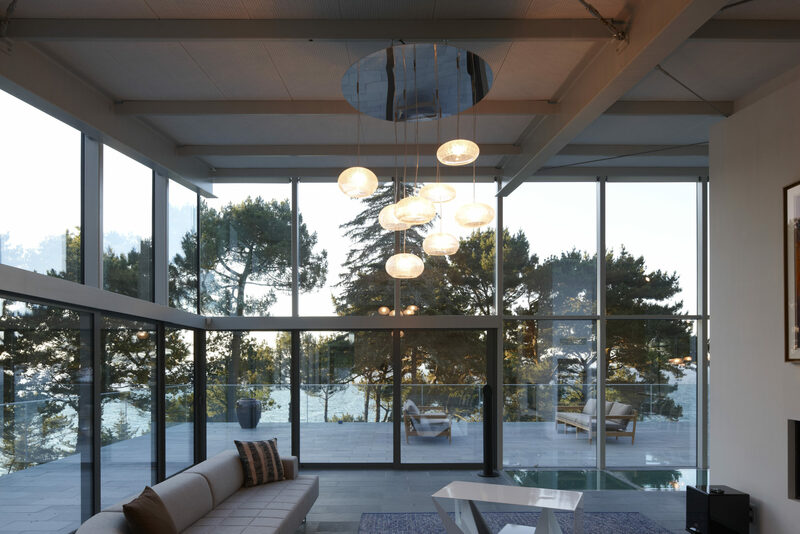 Innovative solutions contribute toward the tendency of large and expansive panes of glass. Window & Door Solutions can be seamlessly integrated into a framed structure. 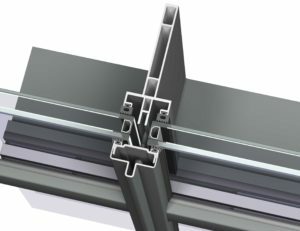 The system features several design and glazing variants, featuring standard pressure plates and structurally clamped options. Expansive views with unlimited possibilities. 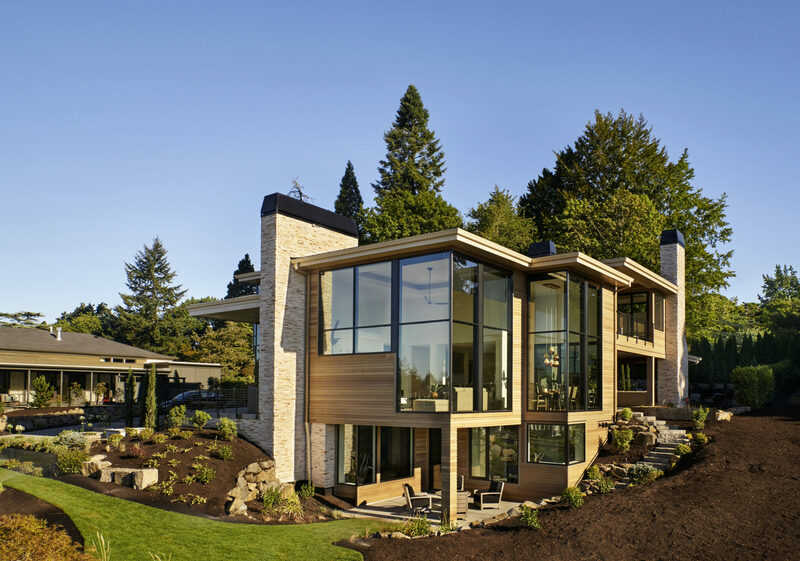 Reynaers is a worldwide leader for custom curtain wall solutions. 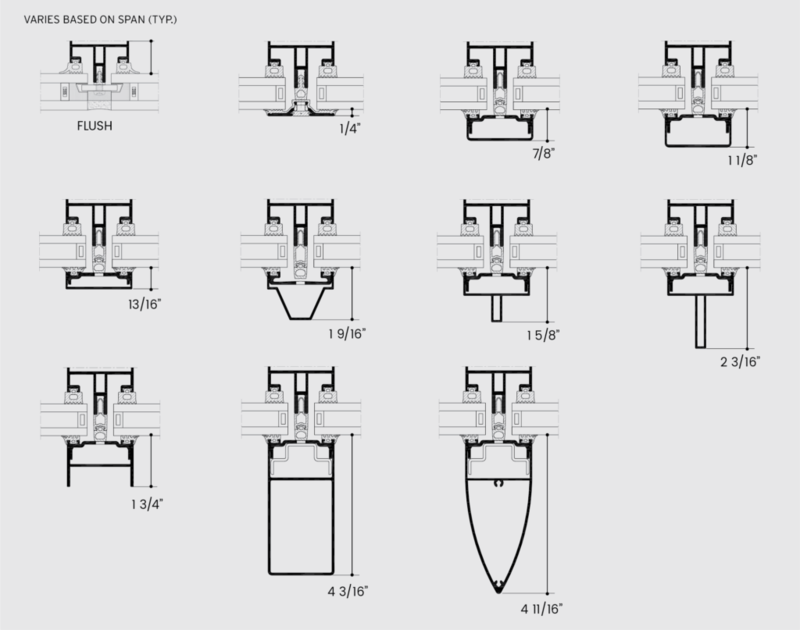 Our products are featured on some of the most complex and well know buildings in the world. 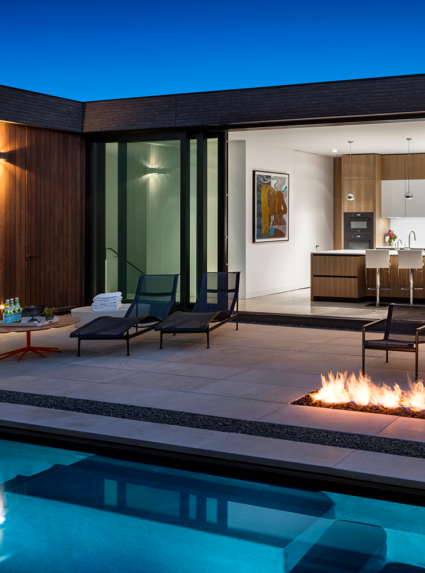 Our system design allows for the integration of other Reynaers window and door systems with a variety of concealed connection profiles for superior aesthetics. 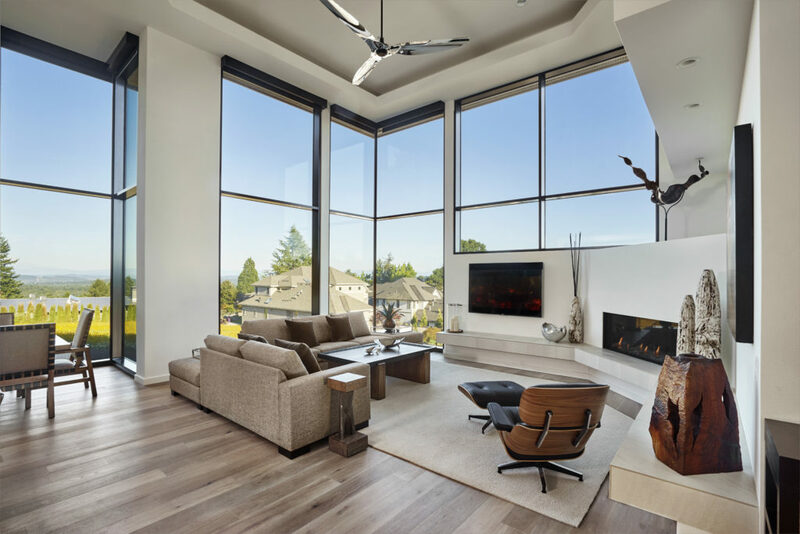 Designed for large walls of glass, these solutions are ideal for situations where heights exceed 12’ ft. versus using a window wall system. In addition, curtain walls can be used to seamlessly combine various window and door systems into a single facade. 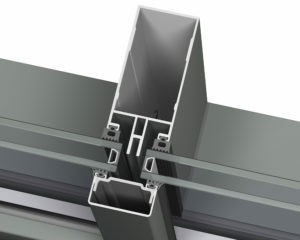 Regardless of height and span our frame profiles always feature a 2 in. 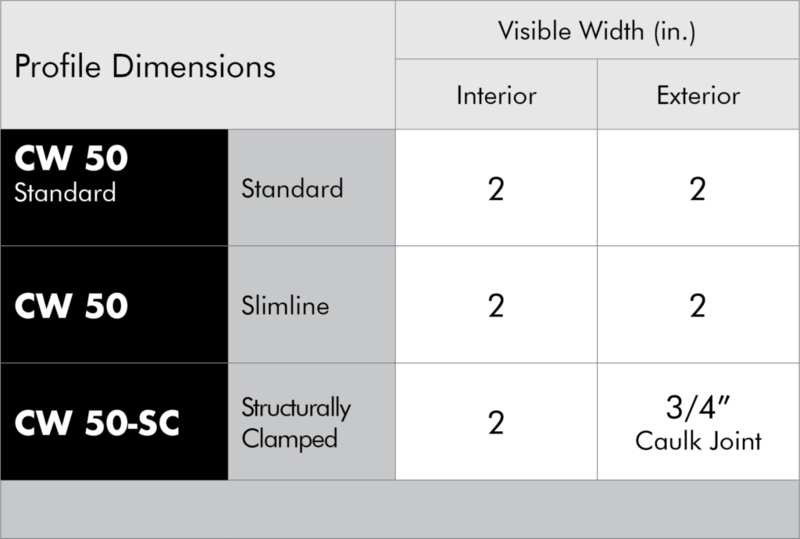 visible width for some of the narrowest sight-lines in the industry. CW 50 is the standard frame for curtain wall that blends well with any of the various profile designs within our product lines. CW 50-SL Slimline features a slim frame to coordinate with other slimline product variants to achieve a steel or classic look. 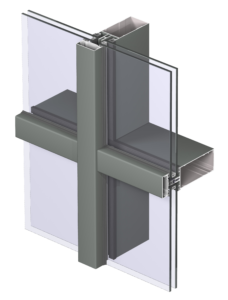 CW 50-SC structural clamped curtain wall is ideal when seeking a continuous flush pane of exterior glass for a sleek look. The CW 50 stands for an extensive range of profiles, gaskets, accessories and tools, specially developed for easy installation. An extensive range of CW 50 profiles meet all the requirements of contemporary architecture, including a large variety of exterior options.